Dillon Development Partners approaches each project with an open mind as to which alternative energy technology, if any, is the best match for the site, intended use and budget. 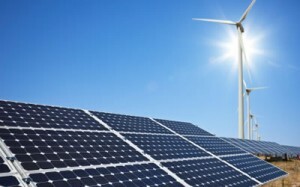 Because deployment of any alternative energy source is an expensive undertaking, the first step must be a thorough examination of the current energy usage in an existing building and a bottom up approach in the design of a new building that will enhance the use of an alternative energy source. To accomplish this Dillon Development Partners has established strategic partnerships to provide the analysis and recommend cost effective solutions that will significantly reduce energy consumption before spending money to produce otherwise unnecessary amounts of alternative energy. Anaerobic Digestion – typically deployed in an agricultural setting and provides a renewable source of methane gas through the mechanical digestion of organic materials. Methane gas produced by the process can be easily burned for heat or used as fuel for reciprocating and turbine engines to turn an electrical generator. Combined Heat and Power (CHP) – CHP engines are able operate at extremely high thermal efficiencies due to design features that capture waste heat for use by building processes such as space heating or absorption cooling and refrigeration. Hydrogen Fuel Cells – This technology generates electricity, heat and carbon dioxide through the combustion of hydrogen and oxygen. Solar Photo Voltaic (PV) – PV cells create electricity (DC) through the interaction of light with specially designed silicon panels. PV produced electricity can be stored in batteries and converted to AC to power commercially available appliances. Wind – Kinetic energy in moving air interacting with the blades of a windmill creates rotary motion that spins and electrical generator. Wind turbines are available in many sizes and configurations from a few kilowatts to megawatt scale. Advanced Storage Battery – High efficiency / high capacity storage batteries can be sized for residential (kilowatt-hours) or extremely large commercial applications (megawatt-hours). Battery is environmentally benign and capable of more than 20,000 charge/discharge cycles. Solar Water Heating – Solar energy is used to heats water by capturing the infrared energy contained in natural sunlight in specially designed collectors. Heated water is used to support building processes such as space heating, domestic hot water or absorption cooling and refrigeration. Geothermal Heating/Cooling – The ground a few feet below the surface is at a constant temperature year-round. Coolant is circulated through tubing encased in vertical wells or horizontal fields act as a heat exchanger to provide a source of energy for heating or cooling. Geothermal wells are typically used in conjunction with highly efficient electrical heat pumps that are capable of producing 400% more heating /cooling that traditional air sourced heat pumps per kW of electrical power consumed.